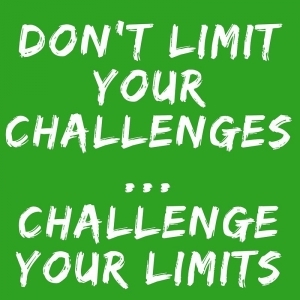 Home > Training > Mighty Motive8 Strength Challenge – Can You Conquer it? If you love a good workout challenge then look no further. Here’s a great combination of 5 mini-tests that when put together, form the Mighty Motive8 Strength challenge. The entire challenge takes about an hour and you can use the results as a benchmark to track your progress. Make sure you start with a full-body warm up before you begin. Mini-Test 1: Barbell Back squats with your bodyweight – As many reps as you can up to a maximum of 20. Mini-Test 2: Bench press (Men use 2/3 bodyweight, Women use 1/2) – As many reps as you can up to a maximum of 20. The bar has to touch your chest on each repetition, no half reps here! Mini-Test 3: Chin Ups (Women may use the smallest purple band) – As many reps as you can up to a maximum of 20. Full range of motion is required. This means all the way down until your arms are fully extended, then all the way up until your chin is above the bar. You can rest for a couple seconds whilst hanging, but you can’t just hang around for minutes waiting. Feel free to use chalk for extra grip, just remember that as soon as you let go of the bar, your set is finished. Mini-Test 4: Bodyweight Deadlift – As many reps as possible up to a maximum of 20. A pretty simple test, just make sure you don’t use super bouncy plates and slam the bar off the ground! Aim for good control and good positions throughout the test. Mini-Test 5: Hanging Toes to Bar – As many reps as possible up to a maximum of 20. Another simple test, you just need to hang from a bar and raise your toes up to touch that same bar. As soon as you let go of the bar your set is over. Feel free to use chalk for extra grip. Add together your scores to get a total score out of 100. This percentage is how Mighty you are!